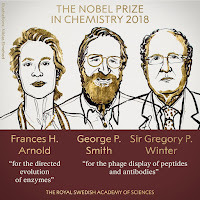 Royal Swedish Academy of Sciences on October 3, 2018 awarded the 2018 Nobel Prize in Chemistry with one half to Frances H. Arnold “for the directed evolution of enzymes” and the other half jointly to George P. Smith and Sir Gregory P. Winter “for the phage display of peptides and antibodies”. 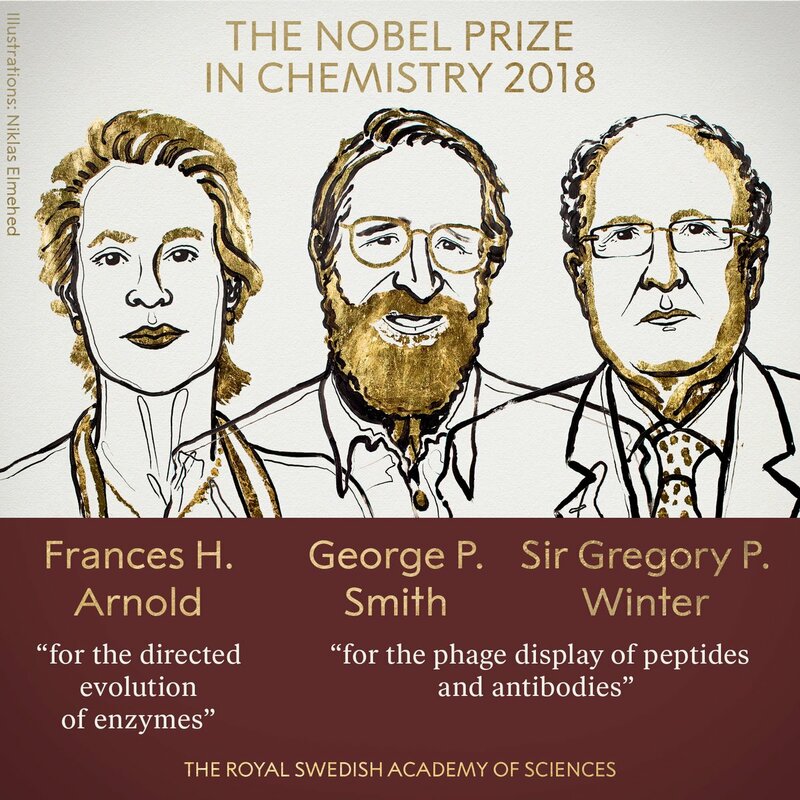 109 Nobel Prizes in Chemistry have been awarded between 1901 and 2017. 4 women have been awarded the Chemistry Prize so far. 35 years was the age of the youngest Chemistry Laureate ever, Frédéric Joliot, who was awarded the Nobel Prize in 1935.